Join Team TRIBE and Sophie Radcliffe (Challenge Sophie), for a not-for-profit, two-day, adventure hike in the Lake District to celebrate International Women's Day - fuelled by TRIBE! It will be two days of women-led fun, with a few brave men thrown in the mix (men are welcome!). 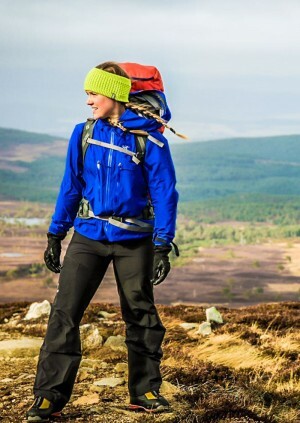 Research has shown that women who complete adventure challenges have a greater feeling of achievement and empowerment, particularly in self development. This event will be raising funds for the TRIBE Freedom Foundation, a £15 donation will be included in the ticket price. In 2016, 255 UK citizens were referred to the NRM (the UK's victim identification system), of this total, 84% were women and 80% were women who had experienced sexual exploitation. (2017 UK Annual Report on Modern Slavery). Our mission is to fight for progress for women and raise funds for the victims of human trafficking. This needs to stop. N.B. Ticket price not inclusive of trains. Please book yourself - see recommended train times below. DO I NEED TO BOOK MY OWN TRAIN TICKETS? Yes. Please book trains listed in itinerary. WILL IT BE A GUIDED WALK? Yes. It will be guided walk lead by Challenge Sophie and the TRIBE Team. WHAT KIT DO I NEED TO BRING? This will be a challenging hike, so a good fitness level is required. WILL MY BAG BE TRANSPORTED FROM START TO FINISH? No. You will need to carry a small backpack with all your belongings for the hike. Please bring a water bottle that you can fill up along route. We will stop for water breaks and TRIBE bars (provided by TRIBE). No refunds are available unfortunately.